Thanks! This info confirms my beliefs. For awhile there I was unable to lose some stubborn pounds and I was over-exercising. Once I stopped trying so hard and relaxed a bit, the extra pounds came off effortlessly. You are welcome. Glad to hear that you have success in your weight control efforts. It’s a one day at a time deal. Continued success! I saw this post from fellow blogger Tony and thought it is very worth while to pass on to you. 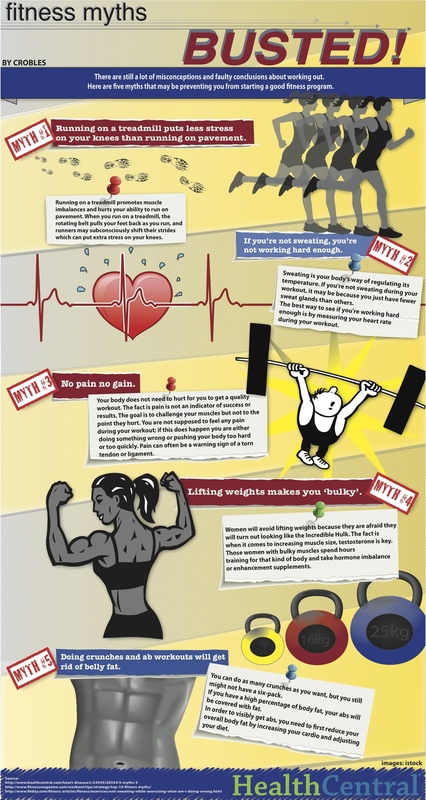 Too many people have misconceptions about exercise and this explains some of them.